Thanks to Joe for stopping by and purchasing this Buck Mark, his first pistol! These retail for $430 and commonly sell for full price. We are discounting the pistol to $359!!! The Browning® Buck Mark® Practical URX Semi-Auto Rimfire Pistol gives you reliable and accurate 22 pistol, designed with emphasis on function. The feature-packed Buck Mark URX starts with a machined 7075 aluminum alloy semi-automatic pistol frame, with ambidextrous overmolded soft nitrile Ultragrip RX® grip panels, with finger grooves that help place the hand in the same position on the grip every shot, resulting in an instinctual hold that improves accuracy; a textured surface provides a secure hold in any type of shooting environment. A tapered, bull barrel balances the pistol’s weight perfectly, while the Pro-Target™ adjustable rear sight and a TRUGLO/Marble Arms fiber optic front sight allow you to dial in for precision shooting at small targets. A non-reflective matte finish on the barrel and receiver won’t spook game and issues an overall appearance of seriousness. 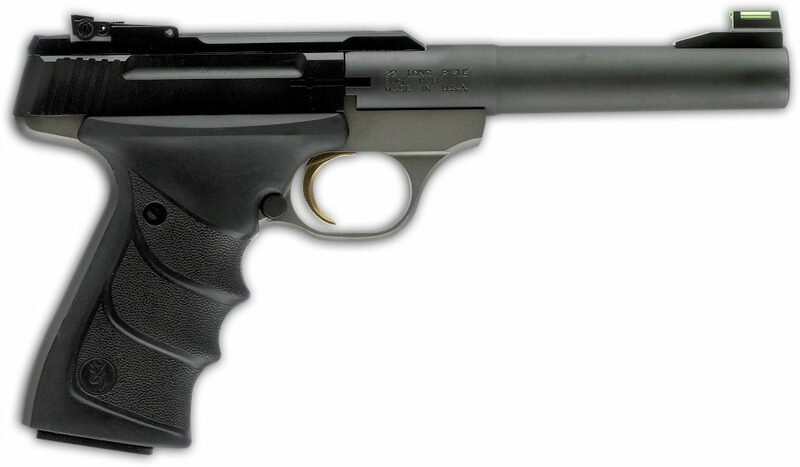 The Browning Buck Mark Practical URX Semi-Auto Rimfire Pistol operates on the Buck Mark’s simple, straight blowback action that has been proven over time to be ultra-reliable. The Buck Mark uses a 10-round magazine with a durable heat-treated body, and coil springs that ensures consistent pressure on the shell follower at the proper angle. 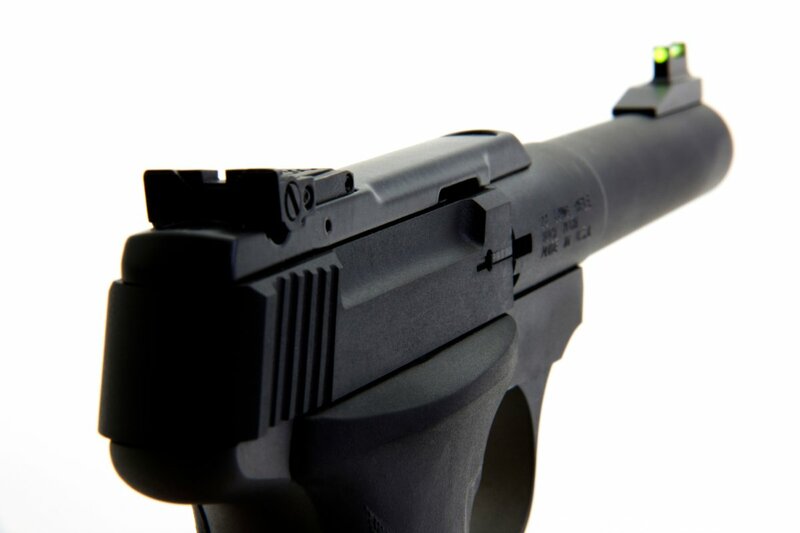 The magazine release is conveniently positioned next to the trigger guard where it is easily reached.